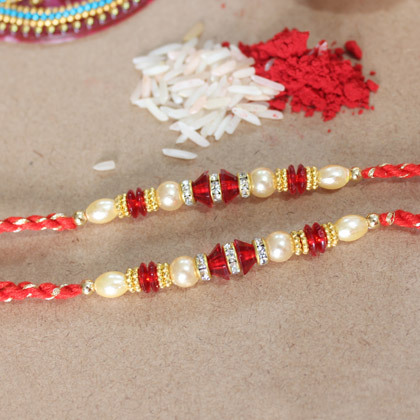 This Rakhi set of 2 Red and Golden Beaded Pearl Rakhis are elegant and excellent for winning heart of both your brothers. 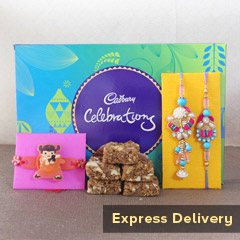 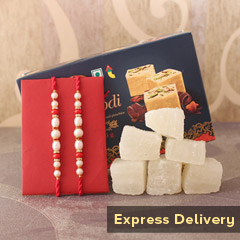 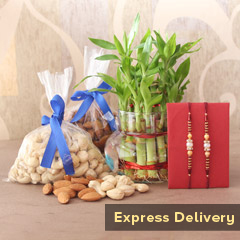 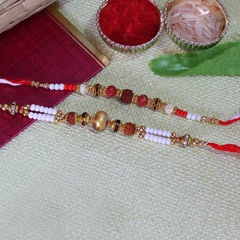 Not only the elegance of these Rakhis will be loved by your brothers but, attractive sequencing of red and golden beads with pears will be appreciated by them. 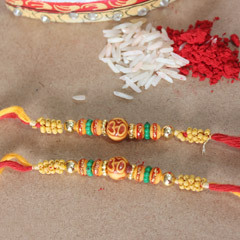 Find it perfect for strengthening the affectionate bond of love with brothers.